Stella L. Owens-Murrell, Administrative Law Judge (ALJ), Office of Administrative Hearings, Special Education Division (OAH), heard this matter on November 26-30, 2007 and December 3-5, 2007, in Encinitas, California. Encinitas Unified School District (District) was represented by Anahid Hoonanian, Esq., of Miller Brown & Dannis. Irene Elliot, Director of Student Services was also present throughout the entire hearing. Student was represented by Kathy Greco, Esq. and Michael Herzog, Esq., of Roberts & Adams. Student’s parents (Mother and/or Father) were present throughout the hearing. On June 25, 2007, District filed a request for due process hearing, which is identified as OAH Case No. N2007060731. On August 9, 2007, District filed a request for due process hearing, which is identified as OAH Case No. N2007080304. An order was issued on August 23, 2007, consolidating the cases. The order provided that the timelines in OAH Case No. N2007080304 would control the consolidated matters. 1. Is District’s April 2007, transdisciplinary reassessment, which included psychoeducational, speech and language, occupational therapy, and adaptive physical education evaluations, appropriate? A. Placement in the District’s preschool special day class (SDC) at Flora Vista Elementary School (Flora Vista)? 1 At hearing the parties waived time and stipulated to January 30, 2008 as the decision due date. 2 The ALJ has clarified the issue statements in conjunction with the due process complaint and according to the evidence presented at hearing. 3 NCCSE is the Special Education Local Planning Agency (SELPA) with oversight of special education programs within the District. 4 Student asserts in his closing brief that District deviated from the assessment plan which identified the REEL as the assessment tool to be used. Student presented no evidence of the differences between the REEL and REEL 3, which was a more recent edition of the assessment. 5 The American Speech-Language Hearing Association (ASHA) defines apraxia or Childhood Apraxia of Speech as a neurological childhood speech sound disorder in which the precision and consistency of movements underlying speech are impaired in the absence of neuromuscular deficits. It is a neuro-motor disorder that presents itself in a child’s inability to speak and difficulty imitating oral motor movements. There are various types including verbal and oral motor apraxia. See American Speech-Language-Hearing Association. (2007)Childhood Apraxia of Speech[Position Statement]. Abbey Rozenberg testified that speech therapists in the field disagree with respect to the diagnosis of verbal apraxia. It is difficult to diagnose, and ASHA has only proposed a list of symptoms to define verbal apraxia. Nevertheless, District recognized in the course of the assessment, that Student had some form of apraxia, which would be addressed in the IEP. 6 Ms. Rozenberg’s testimony conflicts with her written recommendations. She testified that that current recommended best practice in the treatment of apraxia calls for three to five sessions per week of individual speech therapy. In her report she recommends as best practices five one-hour sessions per week of individual speech therapy. 7 Erin Ring, Ph.D., BCBA, is a Board Certified Behavior Analyst. She has a Bachelor’s degree in Psychology from University of Southern California, a Masters degree in Psychology from San Diego State University, and a Doctorate degree in Developmental Psychology from University of Hawaii. She is the co-owner of Bridges Education Agency, providing services to children with autism. She is under contract with District to provide training to District staff in autism, principles of behavior and ABA teaching methodologies. She has numerous certifications and several years of experience in the field of autism. 8 Ms. Chin explained that auditory and visual processing concerns a child’s response to things heard and seen. Touch, multisensory and oral processing concern a child’s response to stimuli. Vestibular and Proprioceptive processing concerns a child’s response to movement and spacial relationships. 10 The premise of TEACCH is to utilize the typical strengths of children with autism, including visual learning, visual cues and visual scheduling, to develop other related skills that are generally more challenging. The program emphasizes a variety of communication skill and socialization all aimed at helping the child “generalize” skills that are fostered in her educational environment. TEACCH also employs behavioral intervention, incidental teaching through various structured activities, and the Picture Exchange Communication System. SeePitchford v. Salem-Keizer School District (W.D. Or. 2001) 155 F.Supp.2d. 1213, 1217. 11 PECS is a program designed to develop early nonverbal communication through the use of icons, pictures, or photographs to facilitate communication. SeePitchford, supra,155 F.Supp.2d at p. 1217, fn.2. 12 PRT is a teaching technique designed to work specifically with autistic children. 13 Ms. Elliott testified that the assessment plan was returned by the post office. It is not clear if the District erred in addressing the mail to parents. Ms. Elliott testified further that District sent the plan to parents a second time. 14 Though discussed in District’s closing brief, the cost factors of educating Student in a general education classroom were not put at issue in this case and will not be addressed. 15 The terms “regular education” and “general education” mean the same thing as it relates to the IDEA, and are often used interchangeably by the parties here. G. A Transition Plan consisting of collaboration between District staff and Student’s in-home program providers to transition Student from preschool to kindergarten? Respondent requested Independent Educational Evaluations (IEEs) in all areas of suspected disability and areas District allegedly failed to assess in the Early Intervention Program Transdisciplinary Reevaluation Report, dated April 14, 2007. The dispute in this case arises out of District’s transdisciplinary reevaluation of Student, the ensuing Early Intervention Program Transdisciplinary Reevaluation Report dated April 14, 2007, and District’s offer of placement and services in the May 30, 2007 IEP, amended on June 14 and June 21, 2007 (May 30, 2007 IEP). District contends that the reevaluation of Student shows that Student, who is eligible for special education services under the primary disability category of autistic-like behaviors (autism), has the prereadiness skills sufficient to succeed in a preschool environment to prepare him to transition to kindergarten. District further contends that the reevaluation was appropriate and met all necessary legal and educational requirements under the Individuals with Disabilities in Education Act (IDEA) and California Education Code. Therefore, District contends Student is not entitled to an IEE at public expense. District further contends that the IEP offered Student appropriate services and placement in the North Coastal Consortium for Special Education (NCCSE)3 preschool Special Day Class (SDC) with an ABA-based program at Flora Vista, which provided a FAPE in the least restrictive environment. District contends that Student’s parents participated meaningfully in the IEP team meetings resulting in the offer in the May 30, 2007 IEP, and that District provided them with a clear written offer of placement and services. Student contends that District’s transdisciplinary reevaluation was inadequate, for several reasons Student contends that the assessments were administered by unqualified district personnel. Student further contends that the assessments deviated from the assessment plan signed by Parents on March 6, 2007, because District did not assess Student in vision, hearing, health, and visual and auditory processing. Student also contends District also failed to conduct APE and AT assessments as discussed in the May 30, 2007 IEP. Student contends District failed to appropriately assess him in all areas of suspected disability in the 2007-2008 school year, specifically, in the areas of verbal and oral motor apraxia,. Student seeks an IEE in all areas of need, including areas previously assessed and in the areas Student asserts that District overlooked in its April 2007, transdisciplinary reevaluation. Additionally, Student contends that the May 30, 2007 IEP offer was inappropriate because it was based on the inadequate and incomplete assessments upon which the IEP team relied in developing the IEP offer. Student contends the IEP offer did not meet Student’s unique needs, and did not provide him educational benefit. Student contends that the IEP also failed to provide a clear specific plan to transition Student from preschool to kindergarten. Student contends that the ABA program offered by District in the May 30, 2007 IEP is not scientifically based or supported by peer-reviewed research and the offer of placement in and the SDC preschool program at Flora Vista is inappropriate. Student also contends District denied him a FAPE in the same period by failing to provide appropriate supports, placement, and services. Student asserts that the preferred program and placement is in an intensive in-home ABA program with one-to-one instruction based upon his unique needs, and not placement in a SDC preschool program. 1. Student, born on July 2, 2003, is 4 years of age. He resides with his parents within the geographical boundaries of the District. It is undisputed that Student is eligible for special education based upon the primary disability category of autistic-like behaviors. Student is not currently attending school within the District and he is receiving intensive in-home ABA services provided by the Center for Autism and Related Disorders (CARD). 2. 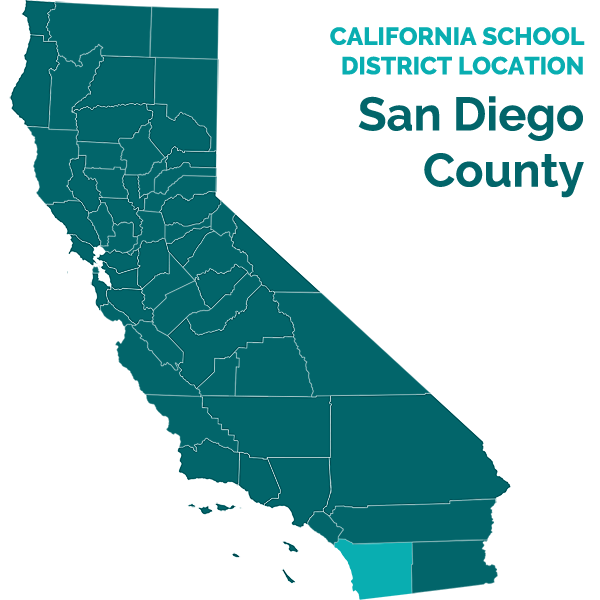 Beginning in July 2005, Student received Early Start services through the San Diego Regional Center (SDRC). The SDRC Individualized Family Service Plan (IFSP) provided Student with 18 hours of ABA, including discreet trial training instruction (DTT), and pivotal response training with two hours of parent training per week from Coyne and Associates; speech therapy 60 minutes per week, and occupational therapy from San Diego Children’s Hospital. 3. District initially assessed Student in June 2006, as part of his transition from Early Start services, to determine current levels of functioning, to establish eligibility for Special Education services as a preschool-age child, and to make recommendations for his educational program. 4. District’s Early Intervention Program Transdisciplinary Assessment Report of June 5, 2006 noted Student’s history of early motor delays, and regression in language and social skills at 15 months of age. District assessed Student in the areas of behavior; developmental functioning, preacademic, speech and language, oral motor, fine motor, and gross motor functioning. The assessment report indicated that Student had significant delays in all developmental areas, especially in the area of communication.The overall assessment results established Student exhibited characteristics consistent with autism, including stereotypical behaviors and delays in communication and social interaction. District determined Student was eligible for special education under the disability category of autistic-like behaviors. 5. District convened an initial IEP team meeting on June 9, 2006. Based upon the assessment report, the District IEP team recommended placement in the preschool SDC at Flora Vista for five hours a day, four days a week. The IEP offer included designated instruction and services (DIS) of 30 minutes of OT 60 times for the year; 30 minutes of APE 60 times for the year; and 30 minutes of LAS 90 times for the year. All services were school-based. Student’s parents disagreed with District’s assessment report and the June 9, 2006, IEP offer of placement and services. 6. Parents obtained IEEs in neuropsychology from Mitchel Perlman, Ph. D., on August to November 2006; speech and language from Abbey Rozenberg, M.S. CCC SLP, on October 28, 2006; vision from Susan Daniel, M.D., on November 6, 2006; psychology from Denise Eckman, Psy.D., on November 7 and 14, 2006; and occupational therapy from Susan Smith Roley, M.S. OTR/L, on November 12, 2006. Parents requested and District later agreed to fund the IEEs. 7. Sometime after January 12, 2007, District commenced to provide the following services at Flora Vista through ESY 2007: 1. One hour per week of APE; 2. Five hours per week of individual speech therapy; 3. Two hours per week of individual occupational therapy; 4. Six hours per week of one-to-one pull-out ABA therapy and two hours per month of program supervision provided by District service providers; and, 5. Eight clinic sessions with Student’s parents. Distict also funded twenty hours per week of in-home ABA to be provided by CARD, Student’s service provider at the time, including six hours per month of ABA program supervision by CARD. District further agreed to reevaluate Student through a comprehensive educational assessment by no later than April 15, 2007. 8. On January 9, 2007 District prepared a Notice of Proposed Action and/or Referral for Special Education Evaluation (Assessment Plan) setting forth District’s proposal to reevaluate Student as. The District proposed to assess Student in areas of suspected disability including health, fine and gross motor skills, speech and language, cognitive functioning, adaptive behavior, social/emotional, academic performance, visual and auditory processing skills, vision, hearing, and sensory processing to determine Student’s present levels of performance. The assessment plan proposed to measure Student’s pre-readiness skills by administering the Brigance Inventory of Basic Skills; Student’s psychomotor development/perceptual functioning by administering the Peabody Fine Motor/Visual Motor, Sensory Profile, and Brigance Gross Motor; language and speech communication development by administering the Receptive Expressive Emergent Language Test; cognitive functioning by administering the Psychoeducational Profile IV; social/emotional adaptive behavior by administering the Behavior Assessment System for Children (BASC ); health including hearing, vision screening, and health and developmental history. District would also review of records and work samples, and District was to observe Student, and conduct interviews. Student’s parents added a request for District to evaluate Student in the areas of visual, auditory, and sensory processing. Parents signed and consented to the Assessment Plan on March 6, 2007. 9. District assessed Student and issued its Early Intervention Program Transdisciplinary Reevaluation Report dated April 14, 2007. The transdisciplinary reevaluation report was signed by Melissa Dawson, school psychologist, Lori Carter, special education teacher, Erin Chin, occupational therapist, Patty Tran, speech and language pathologist, and Laurie Miller, adapted physical education specialist. The report indicated that Student continued to demonstrate significant delays in all areas of development with weaknesses in the areas of expressive language skills and motor planning. Student also exhibited difficulty sustaining attention to adult-directed tasks and his ability to regulate his behavior. Student had strengths in the areas of fine motor skills. The test scores showed Student had made developmental gains in his cognitive, receptive language, gross motor, and self help skills since the initial assessments. The assessment results further established that Student had additionally continued to make gains in the areas of upper body strength, coordination, fine motor, visual motor, and sensory processing. 10. On June 6, 2007, Student’s Parents gave District written notice they disagreed with the transdisciplinary assessment report. Parents sought District’s agreement to fund IEEs in all areas of suspected disability. On June 18, 2007, District denied Parent’s request for an IEE, and filed a Request for Due Process Hearing on June 25, 2007, for a determination of the appropriateness of District’s assessments. 11. District contends that it assessed Student in all areas of suspected disability and the assessments were appropriate. Student contends that District’s assessments are inappropriate because District failed to assess in all suspected areas of disability, specifically that District did not assess Student for deficits in the areas of verbal and oral motor apraxia, and visual and auditory processing, and failed to conduct a vision and health assessment as set forth in the assessment plan. Student further contends he is entitled to an IEE at public expense. 12. A parent has the right to obtain an IEE if the parent disagrees with a district’s assessment. When a parent makes a request for an IEE, a district must either fund the IEE at public expense or file for a due process hearing to show that its assessments were appropriate. Individuals who are knowledgeable about a student’s disability and competent to perform the assessments must conduct assessments. The tests and assessment materials must be validated for the specific purpose for which they are used, and must be selected and administered so as not to be racially, culturally or sexually discriminatory. The assessments must be provided and administered in the student’s primary language or other mode of communication unless this is clearly not feasible. The assessors must use a variety of assessment tools including information provided by the parent. Reassessment of a child may occur if a district believes that the child’s needs warrant reassessment or if the child’s parents or teacher requests reassessment. As part of any reassessment, the IEP team and other appropriate professionals are required to review existing assessment data or observation data for the student and receive input from the student’s parents to establish if the team needs further information to determine the student’s continued eligibility for special education services and what his or her present needs are. A district is also required to assess a child in all areas related to a suspected disability. Failure to properly assess a student can constitute a procedural violation of FAPE. 13. Patty Tran, Speech and Language Pathologist with the District in the 2006-2007 school year, conducted Student’s Speech and language assessments between March and April 2007. Ms. Tran received a Bachelor of Science Degree in Communication Disorders and a Masters Degree in Speech and Language Pathology. She is a licensed speech pathologist with 13 years of experience. Ms. Tran is experienced in the evaluation, assessment and treatment of preschool age children with moderate to severe speech and language delays related to various types of developmental disabilities including Autism and Apraxia. 14. Beginning in January 2007, Ms. Tran began providing speech and language therapy to Student for five hours per week. She also participated as a District IEP team member in the May 30, 2007 IEP and presented the speech and language assessment portion of the Transdisciplinary assessment report. At the time of the assessment Ms. Tran had provided numerous hours of speech and language therapy services to Student and had worked closely with Student to develop his speech and language skills. Ms. Tran was properly licensed, knowledgeable concerning Student’s disability and competent to perform the assessment. The assessment was administered in a nondiscriminatory manner, in Student’s language, administered according to test instructions, and was valid for the areas being assessed. 15. Ms. Tran administered the Receptive-Expressive Emergent Language Test-Third Edition (REEL-3). The REEL-3 assesses a child’s understanding of language and use of language. Ms. Tran also relied on observation, informal assessment, information obtained from Student’s in-home ABA program case supervisor, and parent interview.4 She also consulted with Dr. Erin Ring and consulted with other members of the assessment team. Ms. Tran testified that she did not complete a formal oral motor examination because, consistent with Abbey Rozenberg’s assessment, Student had difficulty with certain sounds and words and demonstrated he had a limited sound repertoire. Ms. Tran testified that Student would not have been able to complete the formal oral motor examination. Ms. Tran agreed with Ms. Rozenberg’s findings that Student had some form of apraxia. 17. Ms. Tran testified at hearing that Student had made some progress since the June 5, 2006 assessment and after receiving speech and language therapy services. Student demonstrated readiness to attend preschool with typically developing peers. She identified Student’s present levels of performance and proposed goals and objectives to address Student’s communication, expressive and receptive language skills, and his verbal, and oral motor needs, including apraxia. Ms. Tran also recommended Student receive four 30-minute sessions of individual speech and language therapy and one 30-minute session of group speech and language therapy weekly. Ms. Tran credibly testified that the recommendation was based on her observation that Student had an inability to attend for more than 30 minutes at a time and could be distracted. In her professional opinion smaller increments of time would better serve Student because he could not sustain attention for one hour therapy sessions. 18. Student offered the testimony of Abbey Rozenberg in support of its contention that District failed to assess Student in all suspected areas of disability. Abbey Rozenberg is a licensed speech and language pathologist. She has a Bachelor’s Degree and a Master of Science Degree in Speech and Language Pathology from California State University, Northridge. She has several certificates and several years of experience in the field of speech pathology. She has published and co authored articles on the subject of apraxia. Ms Rozenberg testified she first saw Student on October 28, 2006 when she conducted a clinical assessment at parents’ request. She saw him a second time when she assessed him again on August 3, 2007, approximately two and one-half months after the May 30, 2007, IEP team meetings. She did not participate in those meetings. Ms. Rozenberg met with Student only on these two occasions to conduct a clinical evaluation for a total of three and one-half hours on each occasion. She did not provide Student with therapy. Ms. Rozenberg did not consult with District in the conduct of her assessments or observe him either during his receipt of DIS services at Flora Vista or during his in-home ABA program. Ms. Rozenberg testified that the REEL-3 is not an assessment tool or test, though it is identified as a test by the publishers of the test. She further testified that it is only a parent questionnaire and thus, a screening tool, and should not be the sole measure of assessing Student’s speech and language deficits. Ms. Rozenberg opined that although District agreed with her October 28, 2006 assessment findings in the area of apraxia, that a more recent assessment for apraxia should have been conducted. Ms. Rozenberg testified that District should have included additional assessments in order to further determine Student’s present levels of performance and areas of need, not only in speech and language, but also in the area of apraxia, and District’s failure to do so renders the speech and language assessment inadequate. 19. Student’s assertions are not supported by the evidence. Ms. Rozenberg acknowledged District relied on her assessment findings of apraxia. Ms. Rozenberg agreed with the findings in District’s speech and language assessment which identified the major symptoms of apraxia, and she agreed with the overall results and findings of District’s assessment in the area of speech and language. Ms. Rozenberg’s October 28, 2006, assessment similarly identified receptive and expressive language as areas of need. Both Ms. Rozenberg and Ms. Tran’s reports concluded that Student required intensive and frequent speech and language intervention. Although Ms. Rozenberg’s August 3, 2007 assessment was not presented to the IEP team, and was not relevant to what the IEP team knew or should have known when developing the IEP, it is significant that her August 2007 report noted that “given Student’s strong non verbal skills and an interest in social experiences, that a preschool setting with typical peers, who may serve as appropriate language models will allow for generalization of speech and language skills.” Ms. Rozenberg agreed that Student had strong prereadiness skills warranting placement in a preschool setting. The disagreement arises in that Ms. Rozenberg recommended five one-hour sessions of speech and language services6, and Ms. Tran recommended two and one-half hour sessions of therapy services. In addition, while Ms. Rozenberg conducted a formal assessment in the area of apraxia, Ms. Tran credibly testified that she had, through informal assessment, observation, and providing numerous hours of speech and language therapy, found a basis for and did agree with Ms. Rozenberg’s conclusions that Student had oral motor deficits in the form of apraxia. Ms. Tran also collaborated with the District’s school psychologist, who administered the PEP-3, discussed below in Factual Finding 22, which gave her further information concerning Student’s motor needs and expressive receptive needs. 20. The evidence establishes that District did identify apraxia as a suspected area of disability, and appropriately assessed this area of need. Based upon Factual Findings 13 to 19, the speech and language assessment conducted by Ms. Tran was appropriate. 21. Melissa Dawson, District’s School Psychologist, has been employed by District since 2001. She is a licensed psychologist with more than 14 years experience as a school psychologist. She received a Bachelor of Arts degree in Psychology and a Master of Science degree in School Psychology from San Jose State University. Her professional experience includes administration of psychological testing for the San Jose State University Students with Disabilities Program. Ms. Dawson also holds a Pupil Personnel Services Credential. As a school psychologist Ms. Dawson conducted numerous assessments and participated in several hundred IEP team meetings. She has conducted numerous assessments of children with autism, including Student’s reevaluation, and is experienced in working with children Student’s age. Ms. Dawson is familiar with Student and was knowledgeable about Student’s disability. Ms. Dawson was qualified to conduct the assessment. The assessment was administered in a nondiscriminatory manner, in Student’s language, administered according to test instructions, and was valid for the areas being assessed. 22. Ms. Dawson administered the Behavior Assessment System for Children II (BASC-2-Parent and Teacher Rating Scales), a standardized rating scale designed to look at a child’s behaviors, and the Psychoeducational Profile-Third Edition (PEP-3). The PEP-3 psychoeducational profile designed to assess Student’s developmental functioning. She also consulted with Dr. Erin Ring7, District’s autism expert, and with other members of the assessment team. Ms. Dawson conducted behavioral observations of Student during the assessments and in therapy sessions. Ms. Dawson’s observed in an educational setting Student was generally compliant and easy-going. She observed Student engage in self stimulatory behaviors and protesting behaviors, but he was easily redirected to task with verbal or picture prompts. Ms. Dawson observed that Student enjoyed social interaction with familiar adults in therapy sessions. Student had good eye contact with others during therapy and play sessions and responded well to sensory breaks and opportunities to play with preferred toys and materials when he finished tasks. He also followed a picture work schedule with adult prompts, and used pictures, words and verbal approximations to make requests and choices. 23. The BASC II parent rating scale indicated Student exhibited poor self control was easily distracted, and continued to have difficulty sustaining his attention to adult-directed tasks. The teacher rating scale reported similar observations but further indicated that adjusted well to changes in his routine. According to Ms. Dawson the results of the PEP III showed Student had emerging skills and strengths in several areas. In the area of cognitive, verbal/preverbal development, Student continued to develop strengths in visual perceptual processing illustrated in his ability to do simple puzzles, match and sort. He also followed simple commands and repeated sounds. He showed interest in books, responded to imitation of sounds. Student’s receptive and expressive language skills had progressed such that Student was beginning to give verbal approximations for objects, use picture icons to make requests, point to his body parts, following simple directions, and use gestures to obtain help. The PEP-3 also revealed Student had emerging skills in the areas of fine motor, gross motor and his visual motor development. The report did note that Student had improved in the year since the initial assessment, and that Student continued to have difficulty in the areas of affective expression and social reciprocity. Student’s parents reported severe problems in the areas of spoken language and forming friendships. Student’s parents also reported Student had improved in the area of self care currently feeding himself, drinking from a cup, attempting to wash his face and hands and to undress himself, with adult assistance. But the parents also reported Student continued to need full assistance bathing, dressing, toileting, and brushing his teeth. 24. Ms. Dawson testified that she consulted with the assessment team members concerning the assessment results. She also considered the prior IEEs, Student’s parents input as well, and she collaborated with CARD and Bridges to determine what was appropriate for Student. Ms. Dawson was a member of the IEP team in the May 30, 2007, IEP. As a result, she made recommendations for Student’s placement at Flora Vista preschool SDC, and intensive ABA instruction. She recommended and developed goals and objectives addressing Student’s behavioral needs. 25. In contrast, Student offered the expert testimony of Denise Eckman Psy.D., and Mitchel Perlman, Ph.D. Dr. Eckman has extensive credentials in the field of autism. She has a Bachelor of Arts degree in Psychology, and a Master of Arts and Doctorate degrees in Clinical Psychology. She is a board certified Behavior Analyst and a licensed Clinical Psychologist. She has extensive credentials in the field of psychology and in the treatment of children with autism. She is a certified non public agency (NPA) under the name of Creative Solutions for Autism. She did not provide services to Student. She conducted a behavioral assessment of Student on November 17 and 14, 2006, at parents’ request, following District’s June 9, 2006, IEP offer. Dr. Eckman observed Student in his home and in the proposed placement at Flora Vista. The observation at Flora Vista was approximately 30 minutes in duration. Based upon her observation of the Flora Vista ABA program, Dr. Eckman opined that District’s assessment did not adequately identify Student’s unique needs in the areas of communication and social skills. Dr. Eckman further opined that the IEP offer of placement in the SDC program was inadequate and District’s staff was not sufficiently qualified to administer ABA methodologies. Dr. Eckman recommended Student receive 40 hours in an intensive one-to-one in-home ABA program with formal behavior intervention to address his communication, play and social skills. She did not provide input to or participate in the May 30, 2007, IEP team meetings. 26. She conducted a second assessment of Student in September 2007, approximately four months after the May 30, 2007 IEP. She testified that, as part of the assessment she conducted in September 2007, she visited Flora Vista to observe Student in his one-to-one ABA program and she observed Student’s in-home ABA program. The observation took place over a one and on-half hour period. She had not provided services or therapy to Student. Dr. Eckman further testified that it is only appropriate to use standardized formal assessments to evaluate Student and District had used formal and informal methods to evaluate Student.Dr. Eckman’s opinion testimony regarding the April 2007 assessments and the May 30, 2007 IEP offer of placement is irrelevant because it is based upon an assessment she conducted several months after the IEP and contains observations not reasonably known or made available to the IEP team at the time of the IEP team meetings, and at the time IEP offer was made. In addition, Dr. Eckman’s testimony is based on her September 2007 report which was ruled inadmissible. 27. Dr. Perlman is a Clinical Forensic Psychologist. He has a Bachelor’s degree in Psychology and a Doctorate in Clinical Psychology from California School of Professional Psychology. He has extensive experience in the assessment of special needs children. He conducted a neuropsychological assessment of Student in August to November 2006 at the request of Student’s parents. He did not treat Student nor did he consult with District staff, and he did not observe Student’s proposed placement at the Flora Vista SDC until after the May 30, 2007, IEP. Dr. Perlman testified that, as a result of the 2006 assessment, he concluded that Student was not ready for preschool placement. He recommended the intensive ABA program suggested by Dr. Eckman. He did not provide input to nor did he participate in the May 30, 2007, IEP. 28. He assessed Student again in September 2007, approximately four months after the May 30, 2007 IEP and observed the proposed placement. He found the placement was inappropriate and the best placement was in a 40 hour intensive one-to-one in-home ABA currently provided to Student by CARD. Dr. Perlman’s September, 2007 report and his observations are not relevant to what the IEP team knew or should have known, as of May 30, 2007 IEP when developing the IEP. Little weight can be given to his testimony that the best placement and program for Student was the in-home ABA program.His assessments were based upon brief observations of Student. Dr. Perlman provided no input to nor did he consult with District staff or the IEP team. The observation of Student’s placement did not occur until after the May 30, 2007 IEP. 29. As discussed in Factual Findings 21 to 24, the psychoeducational assessment conducted by Ms. Dawson met the legal standard for assessments and was appropriate. 30. Erin Chin is a licensed Occupational Therapist. She conducted the OT assessment/reevaluation of Student and also participated in the preparation of the Transdisciplinary Assessment Report. Ms. Chin has over five years experience in the field of occupational therapy. She has been employed by District since August 2006. She has a Bachelor of Science degree in Occupational Therapy from the University of Hartford. Ms. Chin received regular training in the areas of visual motor and sensory processing, and the performance of fine motor and visual motor tasks in the classroom. She has conducted over 200 OT assessments of children 3-15 years of age and she has evaluated over 60 students diagnosed with autism. She is also experienced in providing direct OT services to children with autism. She provided direct OT therapy services to Student, at Flora Vista twice per week for one hour starting in January 2007 until May or June 2007. She was knowledgeable of Student’s disability. Ms. Chin was qualified to conduct the assessment in this case. The assessment was administered in a nondiscriminatory manner, in Student’s language, administered according to test instructions, and was valid for the areas being assessed. 31. Ms. Chin conducted formal and informal assessments of Student. She administered the Peabody Developmental Motor Scales-2 (PDMS-2) (fine motor portion), the Sensory Profile Assessment, informally assessed Student through observation during OT therapy sessions, consulted with Dr. Erin Ring, and consulted with other members of the assessment team. 32. The PDMS-2 is an assessment measure which compares a child’s ability to that of their peers. This assessment is standardized for age groups from two months to 72 months of age. The fine motor test instrument addresses grasping and visual motor integration. Ms. Chin also reviewed District’s initial Transdisciplinary Assessment Report of Student, dated June 5, 2006, reviewed Student’s records, and the Parent Profile. She observed Student in speech therapy and in his intensive ABA instruction. She testified that she chose the fine motor subtests because these were areas of suspected disability. Ms. Chin stated that because of nature and extent of Student’s disability, she found it necessary to repeat and rephrase directions and to demonstrate for Student. In doing so, she deviated from test protocols resulting in nonstandard scores, which she did not consider. She testified further that though her administration of the test deviated from test protocols the tests were not necessarily invalid, but rather than rely on the nonstandard scores, she utilized other assessment tools. Instead, she relied on her informal observations during the numerous OT therapy sessions, review of records and Student’s prior assessments, and the sensory profile assessment conducted in April 2007. She also relied on input from the assessment team. The modulation category contained questions concerning Student’s ability to maintain a comfortable state of arousal or activity level. Ms. Chin testified that sensory profile assessment results established Student was easily distracted, Student had difficulty attending to tasks, Student liked the sensation of touch on his skin, but had a decreased awareness of pain, and Student craved movement, and was receptive to oral stimuli. 34.Ms. Chin testified that she conducted a comprehensive assessment of Student’s OT needs. She also observed Student progress and improve from the services she had provided. Student was able to pick up scissors, button his shirt, exhibited increased eye contact during play and vocalizations, showed improved attention and sitting, engaged with adults more, opened doors and displayed the ability to move from one room to another. She opined, based upon both her formal and informal assessments, that Student would benefit from a small classroom environment with minimal distraction and minimal visual stimulation. 35. Susanne Rolley testified as Student’s expert in the field of occupational therapy. Ms. Rolley is a licensed Occupational Therapist. She has a Bachelor of Science degree in Occupational Therapy from Indiana University and a Masters Degree in Occupational Therapy from Boston University. Ms. Rolley assessed Student at parents’ request on November 12, 2006. Ms. Rolley assessed Student over two hours in one session. She made similar findings to those of Ms. Chin. She found Student had developmental delays, deficits in auditory processing with speech, language and communication delays, was easily distracted, had difficulty regulating his attention and activity level, and had a desire to engage adults and his peers, but had difficulty with social interactions. She testified that she recommended OT services twice weekly for one hour. 36. Ms. Rolley assessed Student for a second time at his parents’ request on July 6, 2007, approximately one and one-half months after the May 30, 2007, IEP. Ms. Rolley did not provide therapy to Student, she did not consult with or interview District staff, and she did not participate in Student’s IEP or in the IEP team meetings in the May 30, 2007, IEP. Her 2007 assessment and her testimony regarding it are not relevant as the assessment was not conducted until after the IEP. Regarding the earlier assessment, Ms. Chin testified that she had reviewed Ms. Rolley’s 2006 assessment and, considered it. Except for the amount of OT service recommended by Ms. Rolley, she agreed in general with the assessment results. 37. Student argues in his closing brief that the OT assessment conducted by Ms. Chin is invalid because of her failure to follow test instructions in the administration of the PDMS-2. Student argues further that she should have used more than one standardized assessment to validate her results, rather than relying on the nonstandard scores. The evidence does not support Student’s assertions. As discussed in Factual Findings 31 to 34, Ms. Chin relied on a variety of assessment tools to assess Student’s OT needs. District’s April 2007 OT assessment was appropriate. 38. Laurie Miller, District’s APE Specialist, has 27 years as a physical education teacher. She was employed with District from 1997 to 2004 as a substitute elementary school teacher, was a physical education consultant to elementary schools in the District, including Flora Vista, and is currently employed with District as an APE specialist, preschool to sixth grade. She has a Bachelor’s degree in Physical Education from the University of Redlands and a Masters degree in Education Administration from San Diego State University. She has California teaching credentials in Physical Education, Adapted Physical Education, and Choral Music. Ms. Miller has conducted over 100 assessments and is experienced in assessing preschool age children. She has received training from autism specialists, attended NCSEE workshops on educating children with autism, and has received in-service training from Dr. Erin Ring, District’s Autism Specialist/Consultant. Ms. Miller is familiar with Student and his disability because she began providing Student with APE services in January 2007, twice per week for thirty minutes each session. She provided these services in early January, until she took a leave of absence. She resumed providing services upon her return in April to May, 2007 when Student ceased participation in APE. Ms. Miller testified that Parents frequently declined to bring Student to Flora Vista for his APE therapy. As a result, she provided direct APE services to Student only seven times. 39. Ms. Miller conducted the Brigance Diagnostic Inventory of Early Development II to assess Student’s gross motor needs. Ms. Miller also reviewed Student’s records, interviewed Student’s parents, observed Student throughout her provision of APE services, and read the report of Coyne and Associates, the prior NPA provider of Student’s in-home ABA services. She also consulted with Dr. Erin Ring and consulted with other members of the assessment team. The formal assessment was conducted over two to three days totaling one hour. Ms. Miller testified that the assessment tools used were appropriate to measure Student’s suspected areas of disability and were appropriate to determine Student’s areas of need. Ms. Miller was qualified to conduct the assessment in this case. The assessment was administered in a nondiscriminatory manner, in Student’s language, administered according to test instructions, and was valid for the areas being assessed. 40. In Ms. Miller’s unrebutted opinion, the assessments established Student had unique needs in the areas of motor planning, eye-hand coordination, eye-foot coordination, body strength, and balance. The APE assessment was appropriate. , and Social Communication Emotional Regulation Through Transactional Supports (SCERTS). Ms. Carter wrote her masters thesis on the effectiveness of play intervention in developing social skills for children with autism. She had conducted 100 assessments of preschool-aged children. Ms. Carter testified that Student attended Flora Vista in January 2007, but was not in her SDC class. He attended to receive the DIS and ABA services provided by District. She did observe him during the ABA pull-out sessions and around campus. She was familiar with Student and his disability, and she assessed Student in both June 2006 and April 2007. Ms. Carter was qualified to conduct the assessment. The assessment was administered in a nondiscriminatory manner, in Student’s language, administered according to test instructions, and was valid for the areas being assessed. 42. Ms. Carter conducted the Brigance Diagnostic Inventory (BDI) to assess Student’s general knowledge and comprehension. The BDI is a criterion based test, based on Student’s age, which at the time was 3.8 years. The assessment was conducted by observation at Flora Vista over two days during the time Student received his intensive ABA instruction on a pull out basis. Ms. Carter testified that the test showed Student had a need in the area of social skills and Student was making steady progress since District’s initial assessment June 2006. 43. Student also contends that District failed to assess Student in the area of vision as indicated in the assessment plan of March 2006. Student further contends that District failed to adequately assess Student in visual processing and auditory processing, and hearing, and that Student had a unique need in area of vision. Dr. Susan Daniel testified to Student’s need for vision therapy. Dr. Daniel is a Doctor. of Optometry, licensed to practice in California. She has a Bachelor’s degree and M.D. Degree in Optometry from University of California at Davis. She has extensive experience in evaluating visual processing needs of children with autism. Dr. Daniel conducted a visual processing evaluation of Student on November 6, 2006, at his parents’ request. Dr. Daniel determined Student had a visual processing deficit. He had difficulty matching colors and some shapes and had problems with visual motor integration. Dr. Daniel opined that District’s assessment did not adequately address Student’s visual processing needs. Dr. Daniel recommended an individualized otptometric vision therapy program, development of a sensory diet to address sensory processing deficits, and continued monitoring of Student’s visual system to enable Student to better perform in his ABA program. Ms. Elliot also testified that parents were notified at the time of the IEP of District’s annual vision and hearing tests administered to students in the District. Parents informed District that Student was receiving vision therapy from an independent provider and declined to avail themselves of District’s offer. This testimony was unrebutted as parents did not testify at the hearing. 45. Student also contends that District did not assess and address Student’s assistive technology needs (AT). Ms. Tran testified that Student’s parents voiced their concerns about the need to provide AT and augmentative communication devices (AAC) for Student at the time of the May 30, 2007 IEP team meetings. The District IEP team agreed to pursue an assessment with the assistance of NCCSE to assess Student’s possible need for AAC devices. This was included in the May 30, 2007 IEP. According to Ms. Elliott District could not implement the plan because parents disagreed with the IEP. 46. Student’s contention that District failed to assess in all areas of suspected disability and failed to assess additional agreed areas requested by Parents fails for the following reasons. In addition to the areas included in the March 2007 assessment plan, District agreed in the May 30, 2007, IEP to perform an AT assessment, and to conduct vision and further auditory processing evaluations. These assessments were either not conducted or completed, not because District failed or refused to do so, but because Parents declined District’s offer to assess in particular areas and/or did not consent to the additional assessment plan. The evidence further establishes that Student’s parents declined the vision assessment because they were receiving ongoing vision therapy for Student. The District addressed all of the areas it committed to evaluate under the March 6, 2007 assessment plan and in the additional areas of concern requested by parents in follow up, and in the May 30, 2007 IEP team meetings. 47. Furthermore, even if the Student was correct that District failed to assess in all areas of suspected disability the failure amounts to procedural violation that does not rise to the level of a denial of FAPE. The IDEA requires that a due process decision be based upon substantive grounds when determining whether the child received a FAPE. A procedural violation therefore only requires a remedy where the procedural violation impeded the child’s right to a FAPE, significantly impeded the parent’s opportunity to participate in the decision making process regarding the provision of a FAPE to the parent’s child, or caused a deprivation of educational benefits. Procedural violations which do not result in a loss of educational opportunity or which do not constitute a serious infringement of parents’ opportunity to participate in the IEP formulation process are insufficient to support a finding that a pupil has been denied a free and appropriate public education. The evidence supports a finding that District conducted a comprehensive transdisciplinary reassessment of Student in April 2007 addressing all areas of suspected disability. Following the assessment District further addressed Student’s areas of need, such as in vision and hearing, by informing parents of the vision and hearing tests being offered by District. District further addressed parents’ concerns regarding further visual, auditory, sensory processing, AT and testing in the IEP. There is no evidence that parents were deprived of meaningful participation in the IEP process, nor is there evidence that Student suffered a loss of educational opportunity. 48. District contends that the May 30, 2007 IEP offered a FAPE to Student in the least restrictive environment. Student contends that the May 30, 2007 IEP offer of placement and services was not appropriate and did not provide a FAPE because it was based upon an inappropriate assessment, not designed to meet Student’s unique needs, resulted in deficient, immeasurable goals and objectives, and was not calculated to confer an educational benefit. 49. To determine whether a district offered a student a FAPE, the analysis must focus on the adequacy of the district’s proposed program. In order to provide a FAPE a district’s proposed special education placement and services, including support services, must be designed to meet a child’s unique needs, be reasonably calculated to provide some educational benefit to the child, must comport with the IEP, in the least restrictive environment. If the district’s program meets these requirements it has provided a FAPE; even if the student’s parents prefer another program that may have resulted in a greater educational benefit to the student than the program offered by the district. The district’s program need only provide some educational benefit. 50. The IEP is a written document detailing, in relevant part, (1) the student’s current levels of academic and functional performance (for preschool children, how the disability affects the child’s participation in appropriate activities), (2) a statement of measurable academic and functional goals designed to meet the child’s educational needs and enable the child to make progress, (3) a description of how the goals will be measured, (4) a statement of the special education and related services to be provided the Student based on peer-reviewed research to the extent practicable, (5) the beginning date along with the anticipated frequency, location and duration of the special education and related services, and (6) an explanation of the extent to which the child will not participate with non disabled children in a regular class or other activities. The statement of measurable annual goals must be designed to meet the child’s needs to enable the preschool pupil to participate in appropriate activities. 51. District convened an IEP team meeting on May 30, 2007. The meeting was continued on June 14 and June 21, 2007 to permit additional input from Student’s parents. Student’s parents attended and participated in all of the meetings. District IEP team members included Irene Elliott, Erin Chin, Dr. Erin Ring, Lorie Carter, Lissa Dawson, Patty Tran, Laurie Thompson, Administrator, and Diane Lyerla, Head Start general education teacher. Heather Schmidt, Ali Aguilar, and Theresa Contreras all employees of CARD, attended the IEP team meetings as well. The IEP team reviewed the Transdisciplinary Reevaluation Report, the recommendations of the assessment team, written proposals submitted by Student’s parents, school staff’s observations of Student’s in-home ABA program, additional input from the NPA in-home provider, CARD, and the IEEs obtained by parents in August to November 2006. The IEP team discussed Student’s progress since his initial assessment in June 2006, his pre readiness skills for preschool, and his present levels of performance, goals and objectives. The District IEP team concluded that Student made significant improvement and progress since the last assessment. Student required placement in a preschool environment with opportunity to interact with typical peers and to prepare him for transition to kindergarten. 52. District made the following recommendations for Student’s placement and services: Placement in the NCCSE preschool program at Flora Vista for 25 hours per week of intense instruction, including: Occupational therapy (OT) – two 30 minute individual sessions per week and one 30 minute small group session per week; Speech/Language therapy (SLT) – four 30 minute individual sessions per week, and one 30 minute small group session per week; Adapted Physical Education – two 30 minute small group sessions per week; Applied Behavioral Analysis (ABA) – two hours per day of intensive instruction, one-to-one on a pull-out basis, totaling eight hours per week; Daily opportunities for integration with typically developing peers; Six hours per week of in-home ABA to be provided by a Non-Public Agency (NPA), Bridges Educational Corporation; Monthly clinic meetings with parents and District staff for a total of ten meetings for the school year; Four parent trainings per year; Extended school year (ESY) for twenty days during ESY 2008; and a transition plan consisting of collaboration between District staff and Student’s in-home program providers. 53. The IEP offer included supplementary aids, services and other supports for Student. The offer included a sensory diet of daily activities prepared by OT therapist Erin Chin, designed to engage Student throughout the school day to meet Student’s sensory processing needs, visual schedules, picture symbols, and choice boards to be used throughout the school day to meet Student’s visual processing needs, clinic meetings once a month for one hour, one-to one instructional support throughout the school day for six and one quarter hours per day, and intensive ABA instruction six hours per week at home. the IEP offered fewer services than previously received by Student in the areas of OT and LAS. For example the offer of Student’s OT services amounted to one-half hour less than previously provided. LAS services were reduced to two and one-half hours of service, which was one-half the hours of service previously provided. District’s OT therapist, Erin Chin testified that based upon the assessment she recommended breaking up Student’s therapy sessions into smaller increments of time, with a combination of small group and individual sessions, which was more beneficial to Student because he would have the assistance of his one-to-one aide to help motor through activities and to model. The same held true for the reduction in LAS. Contrary to Student’s assertion, as discussed below, the reduction of hours did not deny Student a FAPE. 55. On July 9, 2007 District wrote Parents and outlined District’s offer of placement and services. District requested Parents consent to the IEP. District wrote parents a follow up letter on July 31, 2007 and again sought their consent to the IEP. Parents replied to District’s letters in writing and expressed their disagreement with the IEP. Parents did not consent to the IEP. However, Student continued to receive services at Flora Vista as previously agreed to by District. 56. On October 10, 2007, Parents notified District of their intention to remove Student from Flora Vista where Student had received DIS services since January 2007, and of their decision to privately provide all special education services, with the exception of District’s funding of the 20 hours of in-home ABA services through CARD. Following the notice, Student’s parents unilaterally removed him from Flora Vista and Student was not enrolled in the preschool SDC program. 57. As set forth in Factual Findings 13 to 42, Student’s unique needs were identified in District’s Transdisciplinary Assessment/Reevaluation Report of April 14, 2007. It is undisputed that Student has unique needs in the areas of receptive and expressive language, visual motor, fine motor, and oral motor skills, sensory processing, preacademics, social skills, core strength, self regulation, self help, articulation, motor planning, and joint attention. Student requires the assistance of a one-to-one aide throughout the school day to prompt Student to follow instructions, to redirect inappropriate behavior, to assist in his toileting and self-help needs and to facilitate his interaction with peers. 58. The IEP identified 38 proposed goals and objectives based upon Student’s unique needs and present levels of performance. Ms. Tran credibly testified that she made recommendations to the IEP team, of which she was a part, and developed goals and objectives in the areas of Student’s motor needs to address all of Student’s motor deficits, including Student’s apraxia. Erin Chin testified that IEP goal number 1 addressed Student’s sensory processing needs. Goal number 2 and 4 addressed Student’s self-regulatory and self-help needs; Goal numbers 3, 5, and 27 addressed Student’s fine and visual motor needs; and goal number 33 addressed Student’s core strength and modulation needs. Patty Tran testified that IEP goals numbers 6 through 9, 29, 32, and 34 addressed Student’s expressive/receptive language and communication needs; goals 13, 14, 16, 17, and 35 addressed his preacademic needs in the areas of vocabulary and cognitive skills; goal number 10 addressed his articulation and sound needs; goal numbers 11 and 26 addressed his oral motor and motor planning needs; goal number 18 addressed his social skills and communications needs; goal number 28 addressed his joint attention needs; and goal number 20 addressed his self-help needs, specifically in the areas of receptive understanding and communication. Ms. Tran and Ms Chin also testified the goals were appropriate and measurable. Student elicited testimony from his witnesses that the goals were, in large part, not measurable. None of these witnesses participated in the IEP process, and they were not involved in the collaboration and deliberation of the assessment and IEP team members toward the formulation of these goals, thus their testimony is not credible. Overall, the goals were measurable, as they set specific criteria to facilitate monitoring Student’s progress toward the goals. The credible testimony of Erin Chin and Patty Tran established that each and every goal was developed to address Student’s unique educational needs, was appropriate, measurable, and was calculated to confer some educational benefit on Student. 59. Student contends that the ABA program offered by District is an eclectic program not scientifically based or supported by peer-reviewed research. Student also contends that the preschool SDC program is inadequate and is staffed by an unqualified teacher and aides. A school district need only provide a basic floor of opportunity that consists of access to individualized specialized instruction and related services, designed to provide some educational benefit. It need not maximize a student’s potential. In developing a student’s educational program, the district must provide a program that is based upon peer reviewed research to the extent practicable. 60. The evidence presented shows that ABA is a teaching methodology that has been applied successfully to instructing children with autism. ABA examines the overt behaviors and manipulates the environment in order to change or shape those behaviors. ABA instruction should occur throughout a child’s day in the school setting. ABA trained aides can assist a child by breaking down the subject matter being taught in the classroom to meet the needs of the individual Student. An educator or instructional assistant trained in ABA methodology is equipped to use it in providing instruction to a child with autism, and there is no requirement that ABA services must be provided by a NPA. 61. Dr. Erin Ring testified that she was previously employed by District and worked at Flora Vista. Most recently, she is working with Flora Vista through her agency, Bridges, under contract with District to provide staff training and to develop ABA programs. She also developed a data collection system and trained the staff in the administration of the program. Bridges also contracts with the SDRC to provide ABA services. She works with children providing direct ABA services, has attended over 1,000 IEP meetings, developing strategies for instruction and goals and objectives. She met Student when he was initially assessed in 2006. She also attended Student’s initial IEP. She worked directly with Student and she trained staff to administer his program. She estimates she spent 20-40 hours developing his ABA program and worked with him over the course of a year approximately 40 hours. She was a part of the IEP team and assisted in the development of his goals and objectives and recommended the services offered in the May 30, 2007, IEP. In her opinion Student’s combined services of six hours in-home one-to-one ABA and 25 hours school based intensive ABA instruction with one-to-one support, for a total of 31 hours was appropriate. This amount of services was consistent with the National Research Council suggestion that a child on the autism spectrum should receive at a minimum 25 hours per week of high quality intensive programming. She also opined that the proposed placement was appropriate. She testified to her observations of Student over the approximately one-year period she had known him. She observed that Student was engaged more in socially referencing adults, and his environment. He was able to attend to instruction without prompting, and he was very compliant when presented with tasks. In Dr. Ring’s opinion, overall, Student demonstrated the prerequisite skills to attend preschool, with adequate supports. Other members of the District IEP team shared Dr. Ring’s observations. 62. Dr. Ring, Erin Chin and Patty Tran gave similar descriptions of the preschool SDC and the program. They all agree that the SDC teacher Lorrie Carter is a fine teacher with extensive experience working with special needs children and children with autism. The SDC is a regional preschool class program for severely handicapped students three to fours years old, with significant delays, and includes children with autism. There are seven students in the classroom with one teacher and four adult aides. There was some disagreement among District witnesses whether the teacher to student ratio is one-to-one, one-to-two, or one-to-three students. The more persuasive explanation was offered by Irene Elliot who testified that the teacher to student ratio in Ms. Carter’s class could fluctuate, based on Student population, however, Student would have a one-to-one aide assigned to him at all times in accordance with the IEP. The classroom is designed with visual supports so students can navigate throughout without adult facilitation. It has every day preschool activities with specific individual programs tailored to each student. The classroom is filled with toys and presented in a warm and loving environment, but is not cluttered. It is a structured classroom and not chaotic. The floors are carpeted and physical barriers are strategically placed to block oust noise and other sources of distraction. The students are instructed in small groups. The teacher and aides use a variety of teaching techniques and are continuously trained in the use of the principles of ABA and methodologies using TEACCH, PRT, DTT, PECS, Errorless Learning, OT and APE consults based upon a collaborative model, and sensory strategies, and augmented communication devices. The students are mainstreamed with typical peers from the head start program and head start students are reverse mainstreamed when included in the SDC classroom activities. 63. Lorraine (Lorie) Carter, preschool SDC teacher, similarly testified to the composition of the classroom and the ABA intensive program employed in the classroom. She corroborated the descriptions of her class and activities. She described the class structure to consist of a class schedule with trained adult aides who facilitated indoor and outdoor play. She designed some of the class programs which were ABA based. The schedule also included daily circle time and incorporated a visual system research-based program found to be effective with students on the autism spectrum. The programs were provided based upon each student’s unique needs. Ms. Carter clarified that the adult aides work on a staggered schedule. She has one fulltime and the other three work on and three and on quarter hour schedule to provide full coverage in the class from 7:45 a.m. to 2:30 p.m. four days per week. All of the aides were qualified and trained in ABA methodologies and receive frequent in-service training from Dr. Ring. Ms. Carter knew Student from his initial assessment and his arrival in January 2007. She observed Student’s development during his brief involvement at Flora Vista from a child with severe delays to a child to making steady and slow progress. She believed that placement in her SDC program would provide Student some educational benefit. 64 . Dr. Mitchel Perlman testified that intensive behavior analytic intervention consisting of a one-to-one adult to child ratio combined with 25-40 hours per week of intensive ABA versus intensive “eclectic” intervention (e.g., a combination of methods, one-to-one or one-to-two adult to child ratios, and 30 hours per week of intensive ABA) was more effective in treating preschool age children with autism spectrum disorders. District also presented evidence that its ABA program was comprehensive. It is irrelevant whether District’s program is comprehensive or “eclectic” the appropriate legal standard is whether the methodology District offered was believed by the IEP team to meet Student’s unique needs and was reasonably calculated to provide some educational benefit. 65. The May 30, 2007 IEP met Student’s unique needs and offered him educational benefit. 67. As discussed in factual findings 59 to 63, the offered placement provides Student with opportunity to derive substantial academic benefit from an ABA-based SDC program with intensive one-to-one instructional support and an aide to provide support throughout the school day. The program also allows non academic benefit to Student based on the opportunity to model language and behaviors provided by interaction with non-disabled general education head start program students and typical peers. 68. There is no evidence that Student would have a negative effect on a general education teacher or the other students in a general education classroom. To the contrary, the prevailing opinion is that Student was a delightful child who is generally compliant and easy going. Student was beginning to exhibit signs of curiosity about his peers at play. A placement must foster maximum interaction between disabled students and their nondisabled peers “in a manner that is appropriate to the needs of both.” The law demonstrates a “strong preference for ‘mainstreaming’ which rises to the level of a rebuttable presumption.” Student’s evidence did not rebut the presumption. The positive aspects of mainstreaming, included the fact that typically developing peers would provide excellent role models for Student with regard to his language and social skills. He was also developing and referencing his environment. The opportunity to mainstream with typical peers in the general education head start program and to model behavior could only have a positive effect on Student and his head start program peers. 69. Additionally, Dr. Erin Ring testified that under the LRE mandate, children have to be educated in a natural environment with typical peers unless the severity of a child’s disability precludes it. Dr. Ring’s opinion is that Student belonged in a setting that allowed him to play with typical peers from whom he would derive great educational benefit, and that placing Student exclusively in an in-home ABA program would be too restrictive. 70. Student also contends that District failed to provide a transition plan to support Student’s entry into kindergarten. This contention is not supported by the evidence. Irene Elliot credibly testified that the IEP team contemplated the development of a plan to transition Student to kindergarten once Student was enrolled in the preschool SDC at Flora Vista. Until Student enrolled in preschool, and District staff had an opportunity to work with Student and observe him in his preschool class setting, the IEP team could not provide the specifics required to formulate a plan. 71. The May 30, 2007 IEP provided Student a FAPE in the least restrictive environment. 1.Is District’s April 2007 transdisciplinary reassessment, which included psychoeducational, speech and language, occupational therapy, and adaptive physical education evaluations, appropriate? 20. Factual Findings 11 to 47 and Legal Conclusions 1 and 5 through 8, establish that District’s reassessment of Student was appropriate. The weight of the evidence supports a finding that District conducted a thorough reevaluation. The District assessors used a variety of assessment tools and strategies. Credible testimony from Ms. Tran, Chin, Dawson, Miller, Carter, established that (1) each test was selected and administered to address an area of educational need and was appropriate for Student given his areas of deficit, (2) the District assessors used technically sound instruments that assessed Student’s cognitive, behavioral, physical, and developmental abilities, (3) the tests were selected and administered by the assessors so as not to be discriminatory based on race, culture, or gender, (4) the tests were administered in Student’s native language and in a form most likely to yield accurate information on what Student knows and can do preacademically, developmentally, and functionally, (5) where applicable, the tests were appropriately normed, (6) the tests were used for purposes for which the assessments are valid and reliable, and (7) a substantial number of the tests were administered in accordance with instructions provided by the producers of the tests. District’s assessors were trained, knowledgeable properly credentialed, and well-qualified to administer the tests. The tests assessed Student in all areas of suspected disability, including visual processing, auditory processing, and sensory processing. The assessment team consulted with one another to discuss assessment results. District’s assessment is appropriate and Student is not entitled to an IEE at public expense. The evidence also establishes that District assessed Student in all areas of suspected disability, and following the assessments further offered to conduct additional assessments as requested by Student’s parents. A. Placement in the District’s preschool special day class (SDC) at Flora Vista Elementary School? 21. Relying on Factual Findings 11 to 47 and 51 to 54, and 61 to 69 and Legal Conclusions 2 to 4 and 9 to 14, the May 30, 2007 IEP offer of placement at the preschool SDC at Flora Vista was appropriate. Dr. Ring, Erin Chin and Patty Tran gave similar descriptions of the preschool SDC and the program. The SDC is a regional preschool class program for severely handicapped students three to fours years old, with significant delays, and includes children with autism. There are seven students in the classroom with one teacher and four adult aides. The classroom is designed with visual supports so students can navigate throughout without adult facilitation. It has every day preschool activities with specific individual programs tailored to each student. The classroom is filled with toys and presented in a warm and loving environment, but is not cluttered. It is a structured classroom and not chaotic. The floors are carpeted and physical barriers are strategically placed to block oust noise and other sources of distraction. The students are instructed in small groups. The teacher and aides use a variety of teaching techniques and are continuously trained in the use of the principles of ABA and methodologies using TEACCH, PRT, DTT, PECS, Errorless Learning, OT and APE consults based upon a collaborative model, and sensory strategies, and augmented communication devices. The students are mainstreamed with typical peers from the head start program and head start students are reverse mainstreamed when included in the SDC classroom activities, and the offered placement was in the least restrictive environment. B. 25 hours per week of intense instruction including: Occupational therapy (OT) – two 30 minute individual sessions per week and one 30 minute small group session per week; Speech/Language therapy (SLT) – four 30 minute individual; sessions per week and one 30 minute small group session per week; Adapted Physical Education – two 30 minute small group sessions per week; Applied Behavioral Analysis (ABA)– two hours per day of intensive instruction;Daily opportunities for integration with typically developing peer; Six hours per week of in-home ABA to be provided by a Non-Public Agency (NPA); Monthly clinic meetings with parents and District staff for a total of ten meetings for the school year ;Four parent trainings per year; Extended school year (ESY) for twenty days during ESY 2008; and A Transition Plan consisting of collaboration between District staff and Student’s in-home program providers to transition Student from preschool to kindergarten? 22. Student argues that District’s program is inadequate and the preferred program is the in-home intensive ABA he is currently receiving from CARD. Relying on Factual Findings 9 to 42 and 48 to 65, and Legal Conclusions 1 to 4 and 9 to 14, and 15 to 19, theRowley opinion established that as long as a school district provides an appropriate education, methodology is left up to the district’s discretion. District has the right to choose among methodologies, whether peer reviewed or not, for educating children with autism. District’s failure to choose Student’s preferred program does not, on the facts in this case, constitute a denial of FAPE. 23. Relying on the Factual Findings and Legal Conclusions set forth in paragraph 22, Student provided evidence through his witnesses, Mitchel Perlman, Denise Eckman, that certain District personnel may not have demonstrated a high level of expertise and training when they observed Student’s ABA therapy sessions at Flora Vista. Mitchel Perlman also testified that the preferred program was the in-home ABA provided by CARD. He opined that the CARD service providers were well trained and qualified and that CARD’s program keeps better data collection records. However, the fact that Student’s present program may be better than the one offered by the District does not mean that the District’s proposed program does not provide Student with a FAPE. The District need not provide the best program; it only need provide a program that offers more than minimal educational benefit to him. The weight of the evidence demonstrates that the District’s intensive one-on-one ABA program would more than meet that standard. 24. As testified to by Dr. Erin Ring, District’s ABA program meets the standards established by the National Research Council in its report “Educating Children with Autism.” It recommends several components to an effective program for children with autism including intensive instructional programming of minimum 25 hours per week in a 12 month period, active engagement of the student, parent training, high adult to student ratios, monitoring progress, and ongoing collection of data. The weight of the evidence supports the District’s contention the IEP offer of 25 hours of intensive one-to-one ABA services provided to Student at the District’s school site and the six hours of intensive one-to-one ABA services provided in his home by Bridges, meets Student’s unique needs in the area of behavioral intervention. Testimony of Student’s witnesses established Student also receives eight hours ABA services from CARD, under contract by SDRC. Bringing the total to 39 hours of intensive ABA services that would have been available to Student upon implementation of the IEP. Relying on the Factual Findings and Legal Conclusions set forth in paragraph 22, District has met its burden proof. 25. District considered all information available to it through assessment reports, Student’s records, parent report, and provider reports, available at the time of the evaluations. The assessment team considered the relevant IEEs of Abbey Rozenberg, Mitchel Perlman, Susan Roley, Denise Eckman and Susan Daniel, and appropriately found that nothing in these reports supported reaching a different conclusion regarding Student’s educational program.Relying on the Factual Findings and Legal Conclusions set forth in paragraph 22, the weight of the evidence supports a conclusion that the May 30, 2007 IEP offered a FAPE in the least restrictive environment. 1. District’s claims for relief are granted.